In this lesson, you will learn how to connect a micro:bit to solderless breadboard and how to turn an LED on and off, control its brightness and also use three LEDs to make a traffic signal. You will start off just making a single LED blink, then control the brightness of the LED and finally add two more LEDs to make the traffic signal shown above. To follow all the activities in this lesson, you will need the following parts. 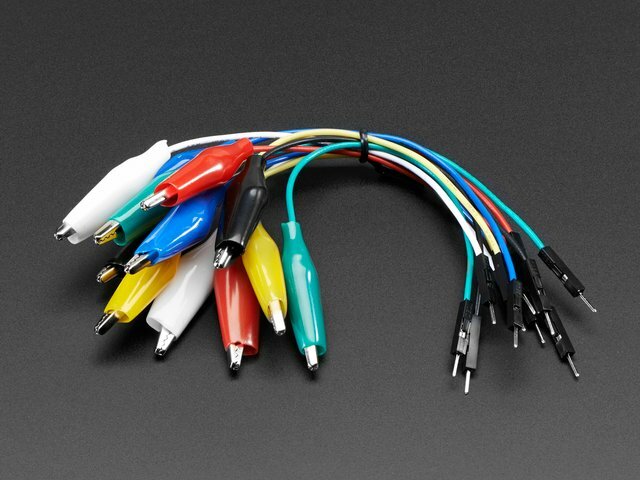 You will also need a micro USB lead to connect your micro:bit to your computer. Connect the resistor and LED as shown in the diagram below. Make sure that the longer lead of the LED (the positive lead) is to the left. It doesn't matter which way around the resistor goes. 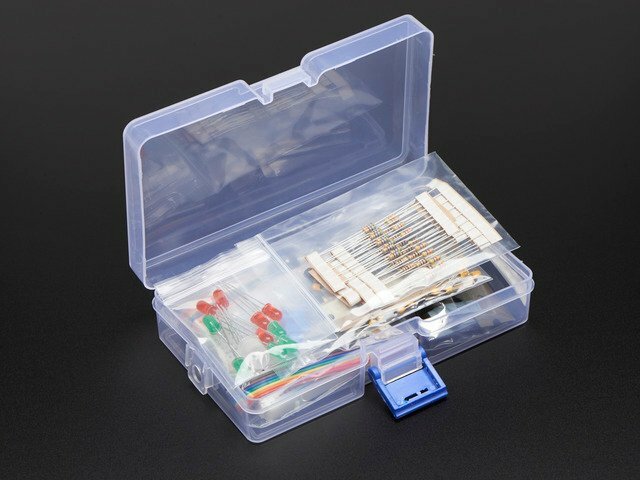 When connecting the micro:bit to the breadboard, its best to put the alligator clips vertically into the holes on the micro:bit's pads, otherwise the clips can slip off or make accidental connections with neighbouring connectors on the micro:bit. The way that solderless breadboard works is that behind the holes into which you poke component leads you will find a metal clip. The red lead that connects pin0 on your micro:bit to row 3 of the breadboard actually connects the lead to every hole position on that row (at least for the left-hand bank of rows of five). The right-hand side of the resistor then connects to the clip underneath row 3 on the right-hand bank and hence to the positive lead of the LED. The long columns down the sides of the breadboard work differently from the main rows of connections in the central area of the breadboard. Each of these long columns are bade up of a single long clip that is often used to provide power. 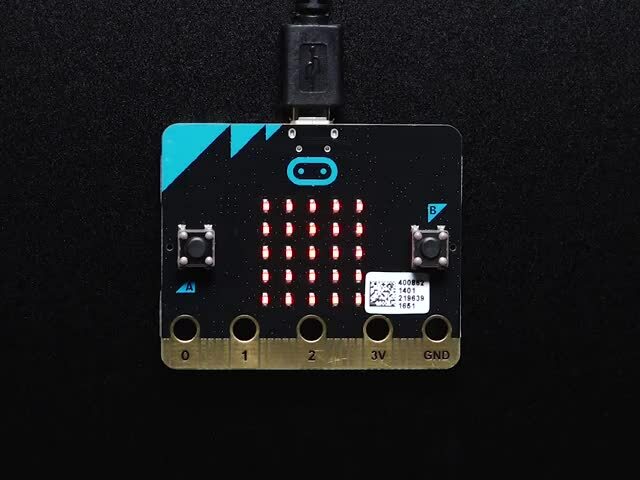 In this case the right hand column (with a blue line next to it) is connected to the micro:bit's GND connection and also to the negative side of the LED. 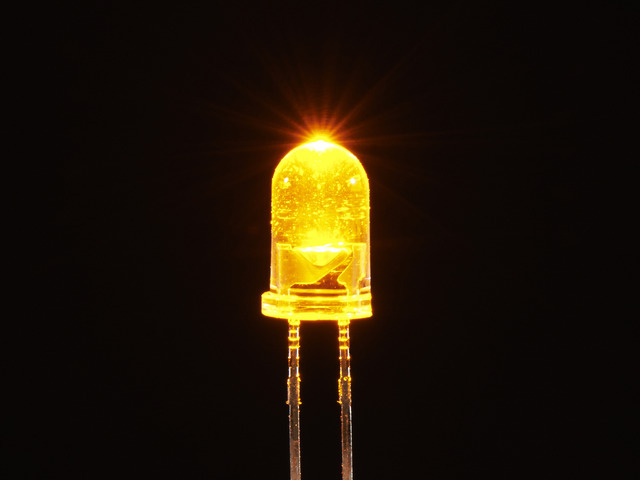 The resistor is necessary to limit the current flowing through the LED. 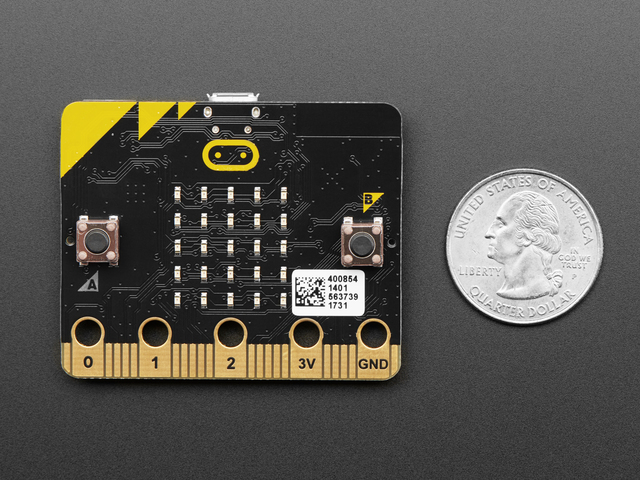 A digital output from a micro:bit should not be allowed to draw more than 3mA of current. 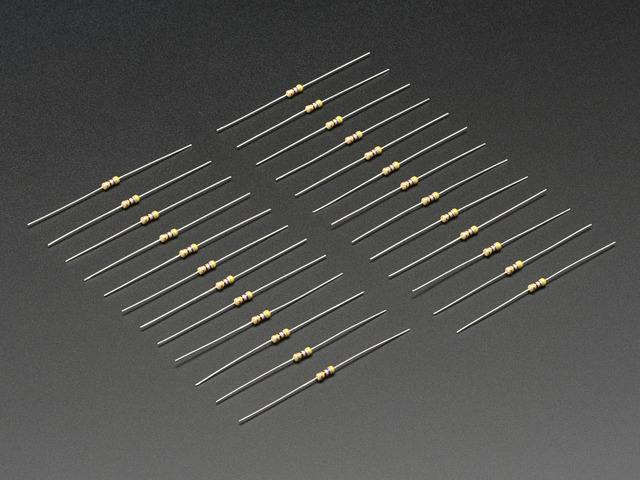 The 470Ω resistor limits the LED current to under the 3mA limit. The code for this is different depending on which programming platform you have chosen to use. The Forever block will repeatedly run all the code contained in the block. To run the MicroPython version of the code, open up the online Python editor here and paste the following code into the editor window. The program first imports the microbit library that contains the write_digital function needed to control the pins on and off. The while loop will repeat the commands it contains until you unplug your micro:bit. These commands first turn the pin on, delay for half a second, turn it off again and then delay again. Make sure that you have your Arduino environment set up for micro:bit by following this guide. Now start a new Sketch by clicking on the File menu and New. Then paste the following code into the editor window. Save the file and then upload it onto your micro:bit. 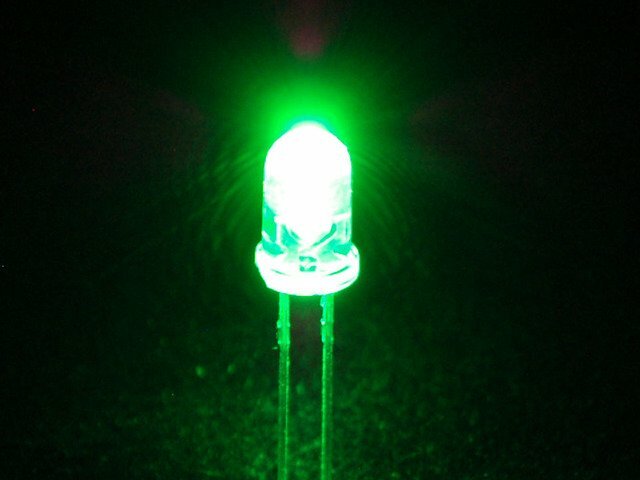 This example uses three LEDs to make a model traffic light signal. 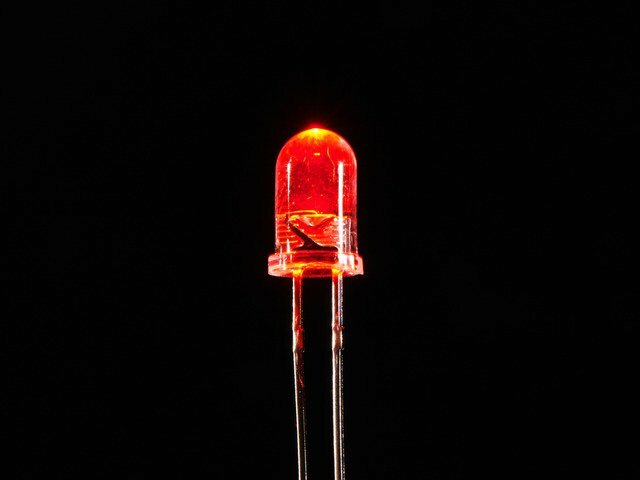 You can use all red LEDs if you like, but its more realistic if you use red, yellow and green. The LEDs cycle around in the sequence red, yellow, green, yellow and then back to red again. To add the extra LEDs and resistors, wire them up as shown in the breadboard layout below. 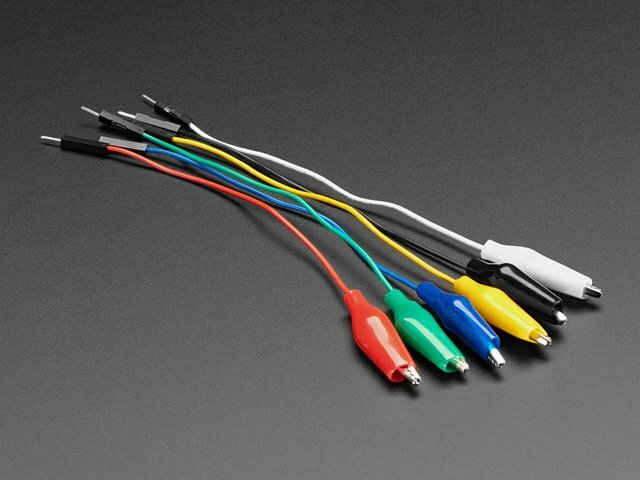 Take care to ensure that the LEDs are the right way around, with the longer positive leads (anodes) to the left. The MicroPython code is listed below. The Arduino version of this program is very similar to the other two versions. As well as turning an LED on and off, you can also use it to control the brightness of the LED. In this example, the A button will make the LED dimmer and the B button make it brighter. At the same time, the micro:bits built-in LED display will show a number between 0 and 9 indicating the brightness level. max_power - the maximum output level for the LED. These two variable allow you to set the possible range of brightnesses. power_step - the brighness will be changed in 10 steps and so this value is calculated from the minumum and maximum. brightness - the brightness level as a number between 0 and 10. The forever loop which runs repeatedly sets the value of a variable called power according to the brightness level. To increase and decrease the brightness, two handlers are used. These respond to either a press of button A or button B and then display the brightness level and set the output level on pin0 using the analog write block. Here is the MicroPython code for the LED dimmer. The Arduino code for using the micro:bit's display is a little different because it uses the Adafruit GFX Library. Using whatever programming language for the micro:bit that you like best, try modifying the blink or traffic signal code to change the timing of the LEDs. For the traffic signal project, you could also try changing the code so that it behaves like a pedestrian crossing and the lights change in response to you pressing button A. If you have found this lesson useful, and want to learn Python, then you might like my book Programming the BBC micro:bit: Getting Started with MicroPython. This guide was first published on Mar 09, 2018. It was last updated on Mar 09, 2018.